William Eugene Bowden, 79, of Wahiawa, Hawaii, retired Army CWO4 Bandmaster, died this past Christmas morning of respiratory failure. Mr. Bowden was a career 30 year military man who served in Vietnam as a trombonist flying by helicopter with his fellow bandsmen into native villages to play music. He rose through the ranks to become a bandmaster and always endeavored to be a musical ambassador. Which he became. He traveled to many countries, met many foreign dignitaries, and connected with other human beings in places all over the world in a way only music can engender. William "Billy" Bowden was born in Oconee County, Georgia and raised by his aunt and uncle, Tom and Carolyn Bowden in Athens, GA. Tom Bowden was part owner of Bowden-LaBoon Auto Shop. Billy worked at the shop and became a proficient mechanic. The young Mr. Bowden graduated Athens High in 1955 and attended the University of Georgia, Athens until he was drafted in 1960. He met his future wife, Teresa Nelle Thomas, in the University of Georgia Redcoat Band trombone section. The two were married in 1959. Bill eventually finished his degree in music at UGA in 1972. In 1991, he received his Master's Degree in Information Technology at the University of Hawaii. 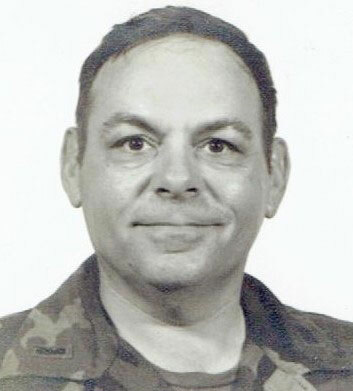 Mr. Bowden had an extremely successful army career spanning 30 years. He rose to the rank of Chief Warrant Officer 4. His medals and ribbons include: Legion of Merit Medal, Meritorious Service Medal 2nd Award, Army Commendation Medal with Oak Leaf Cluster, Bronze Star, Vietnam Service Medal, National Defense Service Medal 2nd Award, Good Conduct Medal, Armed Forces Reserve Medal, Republic of Vietnam Campaign Medal, Republic of Vietnam Gallantry Cross Unit Citation with Palm, Overseas Service Ribbon, Army Service Ribbon, and NCO Professional Development Ribbon with number 4. He also had over 150 Letters of Commendation in his Military 201 file for excellence in musical and administrative performance. When Bandmaster Bowden was stationed at Schofield Barracks in Hawaii, he and his wife fell in love with Hawaii and decided to spend his 26 years of retirement in Wahiawa Heights. William Bowden is survived by his wife of 57 years, Teresa Thomas Bowden, now living in Ft. Collins, CO; two daughters, Dale of San Jose, CA and Donna Turner of Ft. Collins, CO; sister-in-law Claire Brown of Alexandria, VA; Aunt Grace Talmadge of Gainesville, GA., and three grandchildren Chris, Kevin, and Katelynn. Funeral Services will be held at The National Memorial Cemetery of the Pacific at Punchbowl, Honolulu, Hawaii at 1:00 p.m. on March 3, 2017.